The U.S. House of Representatives has voted to limit the National Security Agency’s ability to search U.S. records, after a similar provision was stripped out of a bill intended to rein in the agency. The House, by a 293-123 vote late Thursday, approved a bipartisan proposal to limit the NSA’s surveillance programs by requiring the agency to get a court-ordered warrant to search U.S records in its possession. The proposal, offered as an amendment to a Department of Defense funding bill, would close the so-called “backdoor search” loophole in the FISA Amendments Act, a law allowing NSA surveillance of overseas communications. The final vote on the defense bill is expected Friday, with the bill next moving to the Senate if it passes the House. The warrantless search of U.S. records violates the U.S. Constitution’s Fourth Amendment prohibiting unreasonable searches, Massie said on the House floor. “The American people are sick of being spied on,” he said. The warrant search provision was originally part of the USA Freedom Act, a bill aimed at limiting the NSA’s bulk collection of U.S. phone records, but negotiators stripped out the provision under pressure from President Barack Obama’s administration in the days before the House passed the bill in late May. The amendment drew support from several liberal Democrats and conservative Republicans. The amendment’s point was, “yes, we need to protect our country, but we also need to honor our Constitution,” Lofgren said. The USA Freedom Act contained “carefully crafted reforms” negotiated between House leaders and intelligence officials, and the Massie amendment would upset a “closely negotiated” compromise, said Representative Bob Goodlatte, a Virginia Republican and chairman of the House Judiciary Committee. 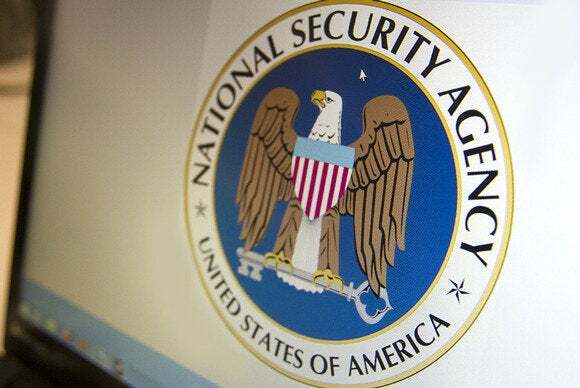 The USA Freedom Act already limits what the NSA can do with the U.S. data it collects, he said. The amendment would “make our country less safe,” added Representative Dutch Ruppersberger from Maryland, the senior Democrat on the House Intelligence Committee. Earlier on Thursday, the House, by voice vote, approved an amendment to the defense funding bill that prohibits the NSA from engaging in any activities that undermine encryption standards developed by the National Institute for Standards and Technology. In late 2013, news organizations reported that the NSA had tampered with NIST’s process of choosing encryption algorithms. Representative Alan Grayson, a Florida Democrat and author of the amendment, said the provision will help restore faith in NIST’s standards-setting process.